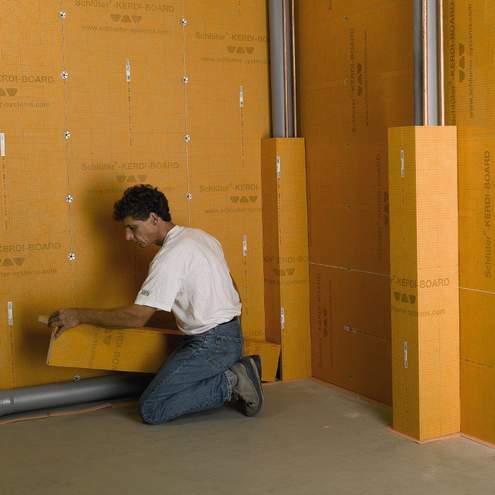 The innovative, pre fabricated angle and U shaped components of the Schlüter-KERDI-BOARD system make it especially easy to conceal pipes and installation ducts. 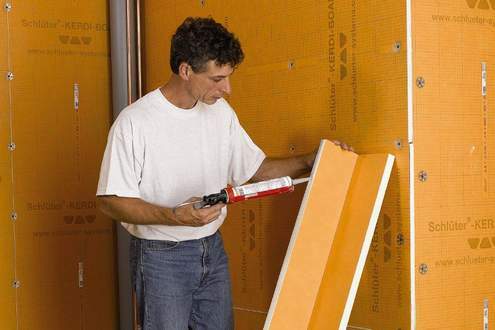 The components are shipped in a spacesaving flat design, which makes them easy to store. 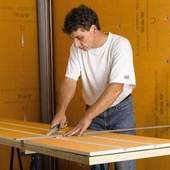 The flat components are also quick to cut to the necessary dimensions. 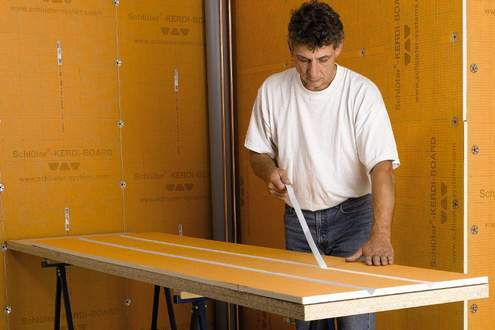 The components are folded for installation, with a prepared adhesive strip holding them together in a V shaped groove.